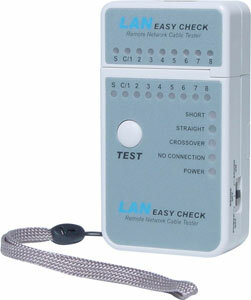 This ultra compact LAN tester will ensure you never have a faulty cable on your network ever again! Instantly displays the status of all cable conductors (shorted pins, straight or crossover cable identification). 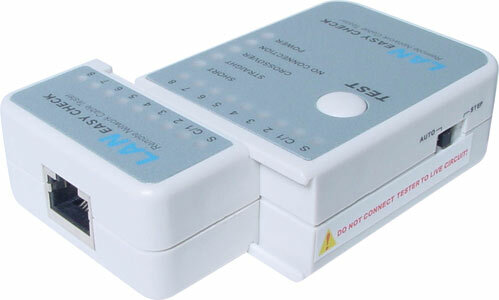 Makes it easy to troubleshoot connections. Suits most common network configurations.